Let it be know that these new domain extensions that are associated with geographic locations have a unique status and are called extensions or geographic GeoTLDs. (Eg restaurantabc.BRUSSELS), this provides a real advantage over traditional domain names such as .com or .co.uk. Indeed, the Geo TLDs offer digital spaces where target users more easily find your website in the search results. Can protect your intellectual property on the Web against possible ill-intentioned competitor wanting to usurp the name of your company. For your information, several new extensions will be available very soon. 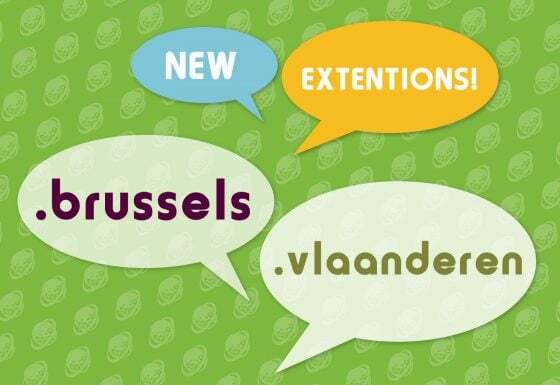 To order your .BRUSSELS ou .VLAANDEREN, we invite to check out our page to order domain names. For your assistance, we warmly invite you to leave your comment or to communicate with us!